My wife and I took our little guy with us for some Christmas shopping recently. He, quite honestly, did terrific. Whether it was department stores, book stores, clothing stores, he was great the whole time. We even got to go to lunch in between without any fuss. We wrapped up our night at our local Barnes and Noble, where my wife spotted a stuffed Gingerbread Man doll. She showed it to him, prompting a huge smile. The little guy reached out, grabbed the doll and hugged him tight. Yes, it was cuteness overload. Then, as any four month old might do, he let out a huge wad of drool all over the Gingerbread Man and then shoved the doll’s head into his mouth. 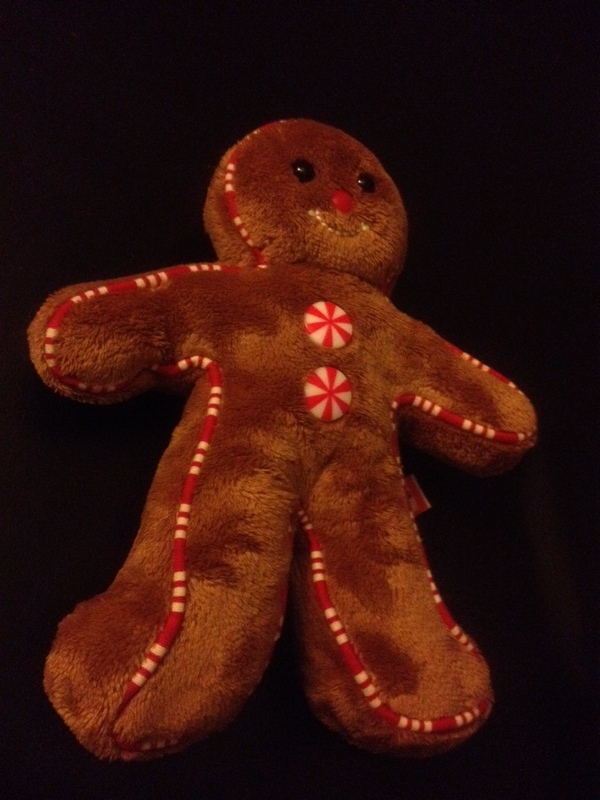 Needless to say, The Gingerbread Man, now named Dougie, has since taken up residence with us.